The design for Callisto oozes sporty, comfortable elegance. 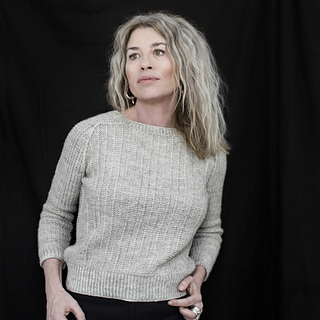 The shape of the sweater is based on a very old, very favorite sweatshirt. 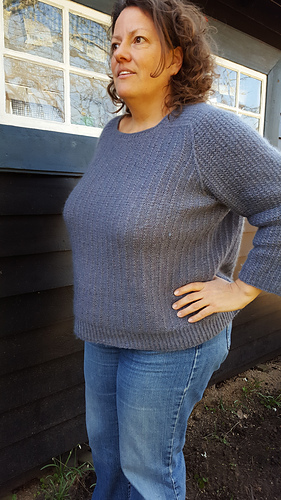 The flattering yoke has an outstanding fit and is a refined version of the seamless hybrid yoke developed by Elizabeth Zimmerman. This construction follows the contours of the shoulders beautifully and results in a harmonious interplay of lines and textures. 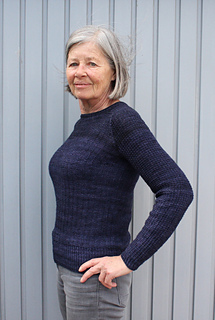 The split at the center of the back lends the sweater a little understated sexiness. Callisto is worked seamlessly from the bottom up. 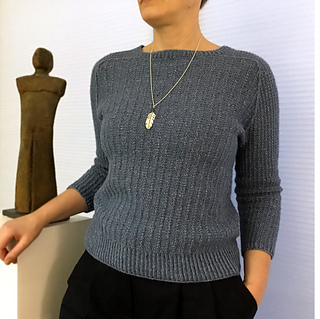 After you’ve worked the ribbing, the body is turned inside out, so you will be mainly knitting instead of purling the Shadow Rib stitch pattern. At the underarms, the body is turned to the right side again and joined with the sleeves, which are worked in the round from the bottom up. The shirt yoke is worked perpendicular to the body and joined to the front and back by working short rows. 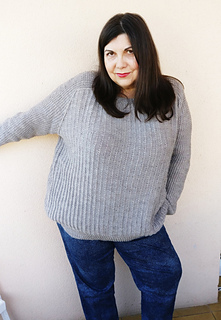 The sweater has bracelet length sleeves and a body that hits at high hip. Sleeves and body can be easily lengthened to fit your preferences, style, and aesthetics. The pattern includes instructions for horizontal bust darts. 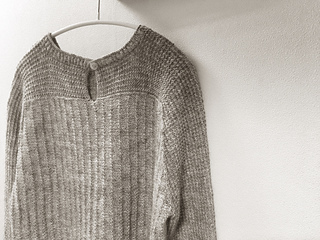 The darts are optional; instructions for a sweater with and without darts are given. 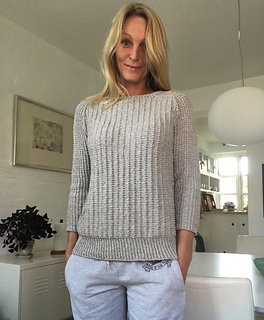 Callisto has a neat, but comfortable fit and is designed to be worn with approx. 5 cm / 2” of positive ease around the bust. Finished bust circumference: 80 (90.5, 100, 111.5, 121.5, 132, 142.5) cm / 31.5 (35.75, 39.25, 44, 47.75, 52, 56)”. Sample is shown in size S with horizontal bust darts and has 3.5 cm / 1.5” of positive ease. Suggested needle size body & sleeves: 3.75 mm / US #5. Approx 850 (1000, 1150, 1320, 1510, 1740, 2000) m / 930 (1100, 1260, 1450, 1650, 1900, 2200) yds of sport weight yarn. 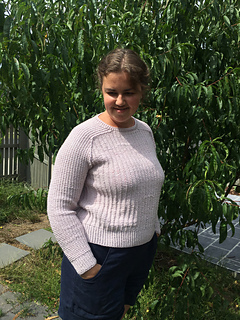 The design is suitable for a large range of fibers, but because there are a lot of stitches worked through the back loop, a yarn with some elasticity and bounce like wool or a wool blend is recommended. Sample is shown in Ysolda Blend No 1 (discontinued); 100% wool (Merino, Polwarth & Zwartbles), 315m / 345 yds per 100 gr.